I started this project forever ago and just recently got around to finishing it. We have three chess sets, all of which belonged to Brian’s dad. Brian really loves the nicest set — all of the pieces are metal. 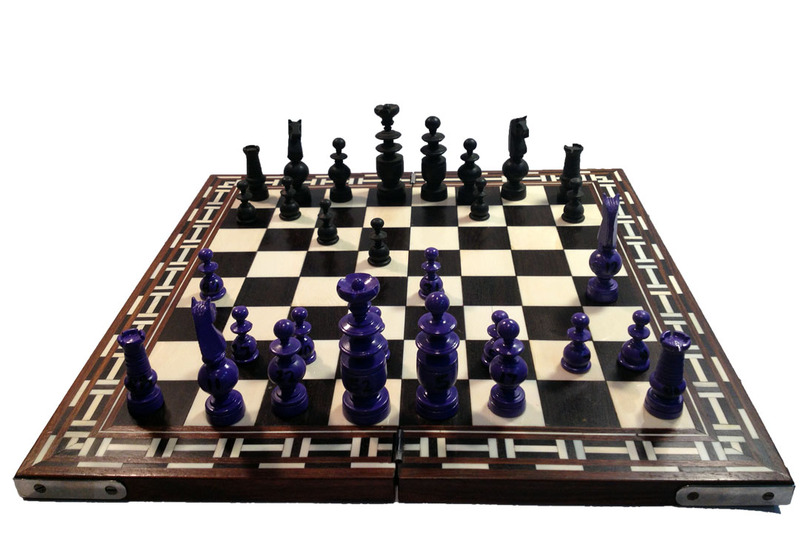 The two other sets are really unique — one is all wood and plain-looking, and the other are these giant, ornate pieces that are chipped here and there. I thought it would be fun to breathe new life into the plain wooden pieces, and what better way than to make them football themed. 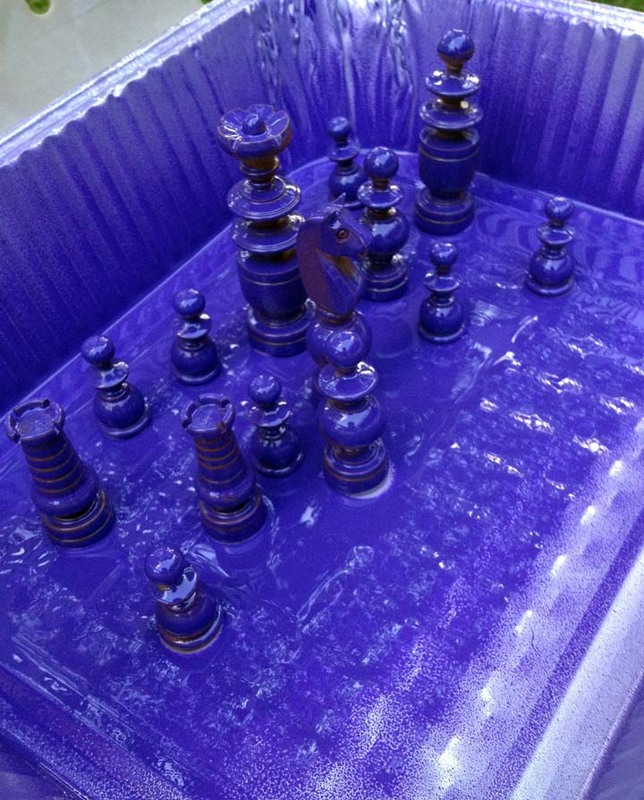 Using a throw-away baking tin, I took one half of the chess pieces outside to spray paint Ravens purple. 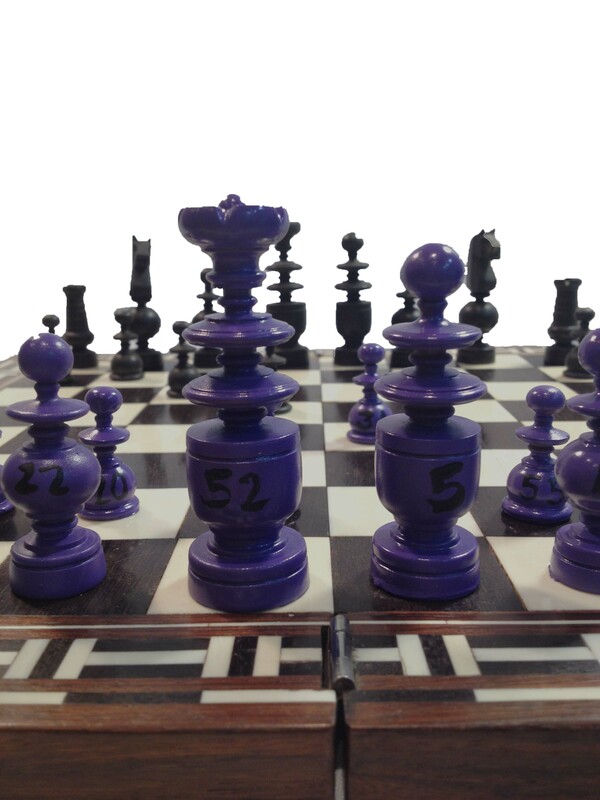 Two coats later, I had a vibrant half set of chess pieces to go along with the black pieces. 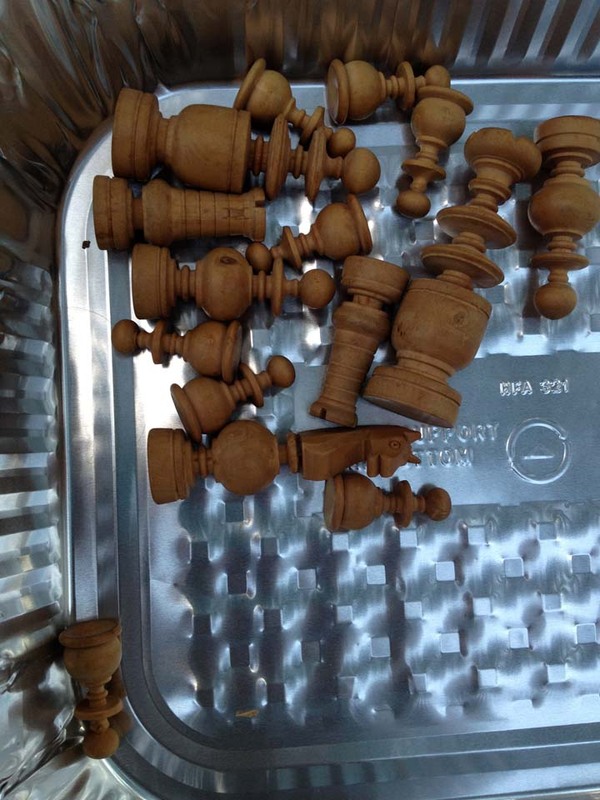 IF you attempt to spray paint your own chess set, it would be a good idea to somehow tack them down before spraying them. Several of my pieces fell over from the spray paint, which scuffed up their paint job a bit. So that part… well, that was months ago. I finally got around to painting numbers onto each piece, starting with No. 52 — Ray Lewis. 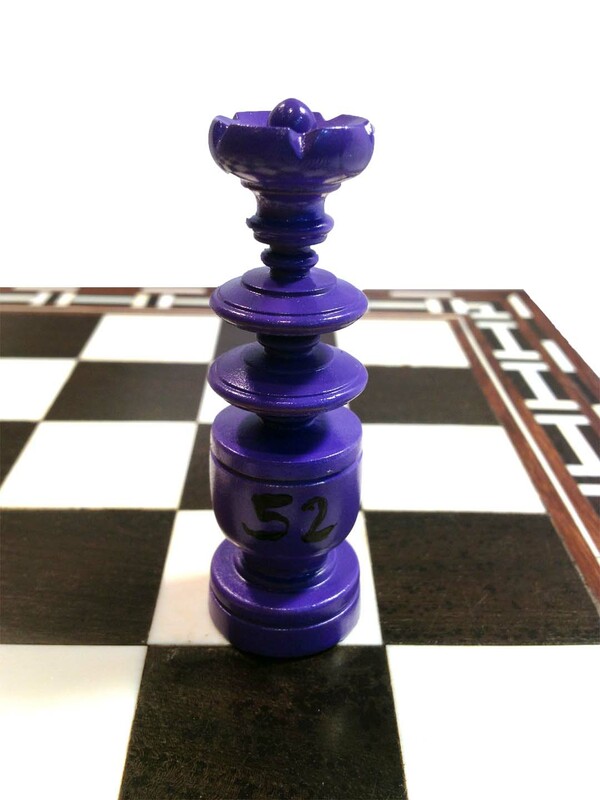 Each purple piece was painted with a number corresponding to an actual player’s jersey. Too fun! I think they turned out well. I’m not sure how often we’ll use the set since we have the other set Brian likes so much (that and we don’t often play chess)… but it sure is a little more exciting than the boring brown pieces.